All aboard the Forde Supertram! 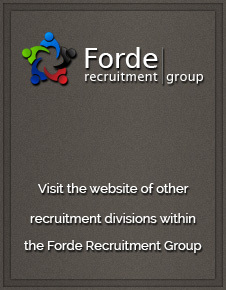 Forde Recruitment would be nothing if it wasn’t for the people who answer the phones, register candidates, fill bookings and pay all the temporary workers as well as all the other tasks that make us tick over properly. We believe it is important to recognise these people, their contribution and hard work, so we have introduced our Employee of the Month scheme. We decided we would keep track of our star-employees by having them fill up our very own Forde Supertram, with each window representing one month and having our monthly winner take up a seat. We will keep you up to date each month with the winner and a little bit about who they are, what they do and why they have won. For September, we had a close call between our top 3 with each of them deserving a shot at the top spot; Katie our admin and payroll assistant in 3rd, Carly our automotive manager in 2nd and in 1st place we had Kyri from our admin team! No doubt you will have spoken to Kyri on the phone over the past year and a half as she is always happy to talk. She is always on with something; whether it is screening candidates ready for induction or making sure we are on top with compliance documents. But most of all, within the office Kyri is always smiling and is a pleasure to work with. Who will win for October? You could be getting a pay rise! What are Jobseekers saying about 2018?